Imperial College London is pleased to invite applicants to apply for a new opening professor position in strategic management. Applications should be sent before September 30, 2018. Imperial College Business School is seeking strong applicants for a position at Associate or Full Professor level in its Department of Innovation and Entrepreneurship. Starting date around September 2019. Part of a world-class research university, Imperial College Business School is primarily a graduate school with programmes including MBA, Executive MBA and MSc in Management. The School is expanding by building on the recent successes in research excellence and educational offerings. The School's academics publish regularly in leading journals (Administrative Science Quarterly, Academy of Management Journal, Organization Science, and Strategic Management Journal) and produce research with high impact. Located in the heart of London, Imperial College Business School offers an attractive research environment and teaching loads with globally competitive salaries. Faculty at the Business School have access to industry experts and enjoy considerable interaction with major corporates, a vibrant entrepreneurship community, consultancies, investment banks, venture capitalists, and public sector organisations, all of which help to make our teaching and research practical and relevant. 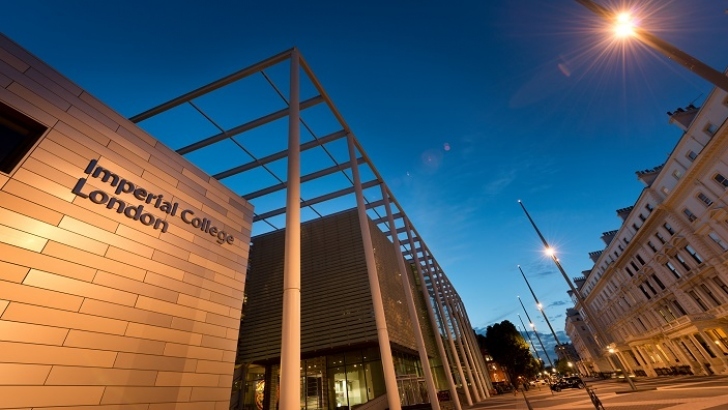 We have strong links to researchers across Imperial College London which apart from the Business School encompasses faculties of engineering, medicine and natural sciences. The successful applicant will be highly motivated, demonstrating excellent research and teaching skills and willingness to collaborate with faculty and doctoral students. The successful applicant is expected to contribute to the Business School by carrying out leading-edge research and publishing in top academic journals. Associate Professor or Full Professor applicant is expected to demonstrate excellence in research. We are particularly interested in applicants working in the following areas: social innovation and social entrepreneurship, digital entrepreneurship and digital platforms, innovation and product management, innovation ecosystems. Participants at Academy of Management conference in Chicago, August 10-14 can request an informal meeting by emailing one of the following members of the hiring committee: Dr Paola Criscuolo (p.criscuolo@imperial.ac.uk), Dr Ileana Stigliani (i.stigliani@imperial.ac.uk ), Professor Nelson Phillips (n.phillips@imperial.ac.uk ) or the head of the department Professor Markus Perkmann (m.perkmann@imperial.ac.uk ). Should you have any queries about the application process please contact Naz Hussain on 020 7594 1583 or email icbs.hr@imperial.ac.uk.